Evansdale Cheeses are all New Zealand made artisan cheeses, made by hand in our factory at Hawksbury Village. Our first cheese was ‘Monterey Jack’, followed by our very popular ‘Farmhouse Brie’ which is also used as the base for ‘Tania Smoked Brie’; with a special smoky flavor, and ‘Laurel’; a delicious soft brie. We have a wide range of cheeses, with fantastic flavours. From our young cheeses like ‘Caerphilly’ and ‘Evansdale Curd’, to our mature cheese ‘Ruby Bay’, which is kept and turned daily for around three months. We have three main blue cheeses-- ‘Bay Blue’ and Marilyn’s Blue. and Karitane Mellow. We also make Sage Derby, Pepper, and ‘Komene Kass’, which are cheeses with added flavour through the addition of spices and herbs. Evansdale Cheese uses 1,500 litres of milk per day, produced locally, and supplied by Fonterra. The milk is delivered raw and pasteurised on site. All our cheeses are made naturally free of preservatives and calf rennet. 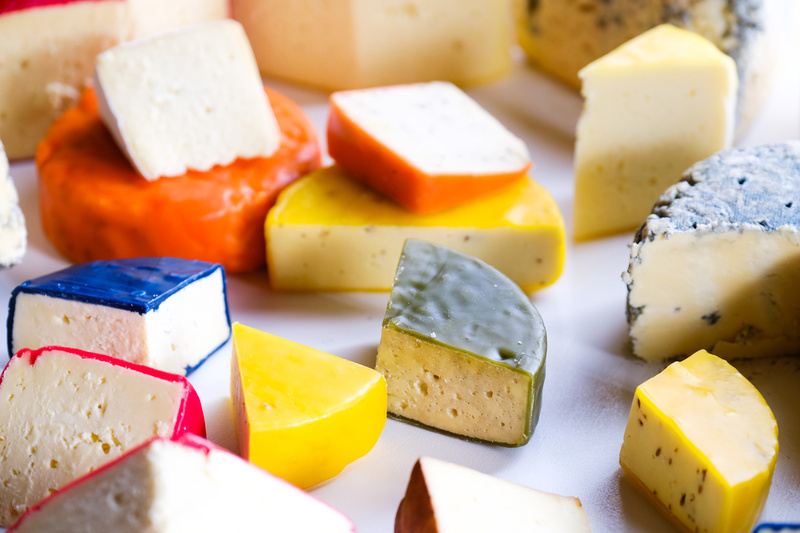 Evansdale Cheese now sells and produces 20-30 different varieties of cheese, sold throughout New Zealand, to supermarkets, boutique eateries, and restaurants and , very importantly our regulat customers. You can also buy online and get cheese delivered to your door across New Zealand.